Amy Goodman, host of Democracy Now! is coming to Pittsburgh next month. Goodman will be speaking at Carnegie Mellon University's McConomy Auditorium at 7 p.m. Sept. 13, where she'll also be signing copies of her new book, The Silenced Majority. While the event is free to the public, it's also a fundraiser, and a $10 donation at the door is requested. 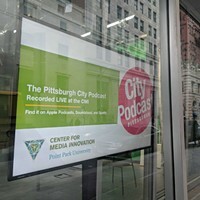 Proceeds will be split between Pittsburgh Campaign for Democracy Now and PCTV, the city's cable-access channel. PCTV airs Goodman's show weekday mornings at 8 a.m.; Pittsburgh Campaign for Democracy Now seeks to promote Goodman's simultaneous radio broadcast on WRCT-FM, CMU's college-radio station at 88.3 FM. 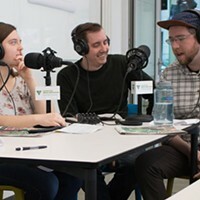 Goodman has visited Pittsburgh on PCTV's behalf before, but this time, "It just kind of fell into our laps, really," says PCTV Executive Director John Patterson. "We'd always hoped she'd come back to Pittsburgh, and we got an e-mail asking if we'd like to host her." Goodman's appearance comes as PCTV is seeking to diversify its sources of income: The station has long received money as part of a contract between the city and its cable providers, but Patterson says the most recent contract obliges them to seek outside support. "The Pittsburgh Public Schools hired us to film board meetings, and we've been hiring ourselves out to do public-service announcements and other projects for non-profits. We're doing a lot more out in the community."